1. Start light – It is not about going out and suddenly doing thirty sit-ups and fifty push-ups a week or two after surgery. It is important to know that performing heavy exercise is not good after undergoing a cosmetic procedure, especially if it has been an invasive one. It is dangerous to the health since the areas that have been treated are still tender and not yet back to its normal state. But staying sedentary and not doing anything is not good, too. So what is the best thing to do? Get up and do a quick walk near your place. Get some of those muscles going and get the blood circulating better. This makes one feel better and lighter and this actually makes the body heal faster! 2. 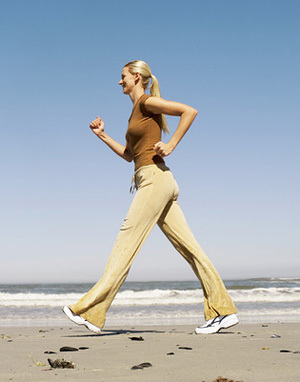 Increase the activity but in a slow pace – Increase the physical activity a little more every now and again. For example, it is ideal to walk around a little longer while increasing the number times or the speed of pace. Take things slowly and increase the amount, time or speed of the exercises cautiously to make things feel even better. If you don’t, you may actually slow things down which is not good for your body as well. It pays to be careful in every activity you do. 3. Consult your surgeon – For patients who are anxious about the recovery period, consulting a surgeon may help. He knows what should and should not be done after the procedure. Ask for the types and intensity of exercises or physical activity that you can do.